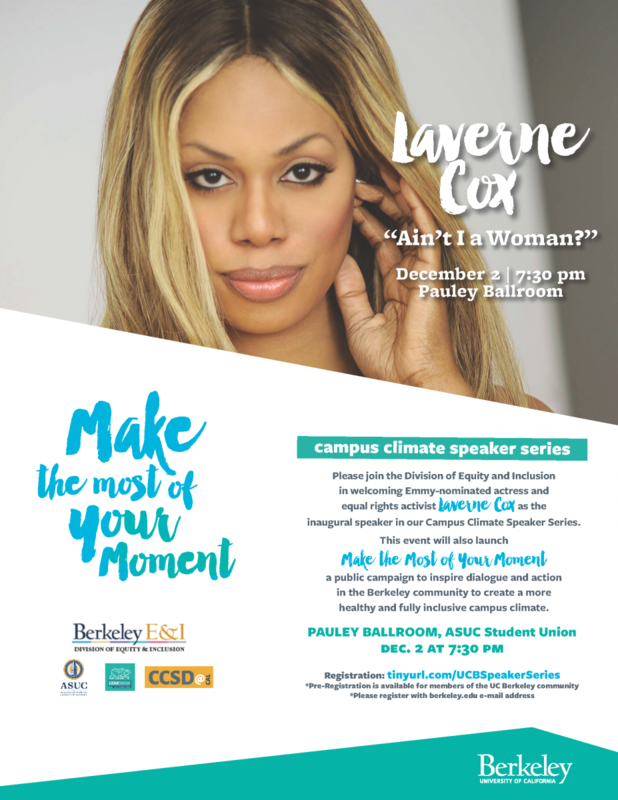 Laverne Cox will speak Wednesday, Dec. 2, at 7:30 p.m. in the Pauley Ballroom. The program will include remarks by Vice Chancellor Na’ilah Nasir and an audience Q&A session moderated by Professor Juana María Rodriguez. While the event is open to the general public, members of the UC Berkeley community can pre-register for the free event — co-sponsored by the ASUC, the LEAD Center and Cross-Cultural Student Development.